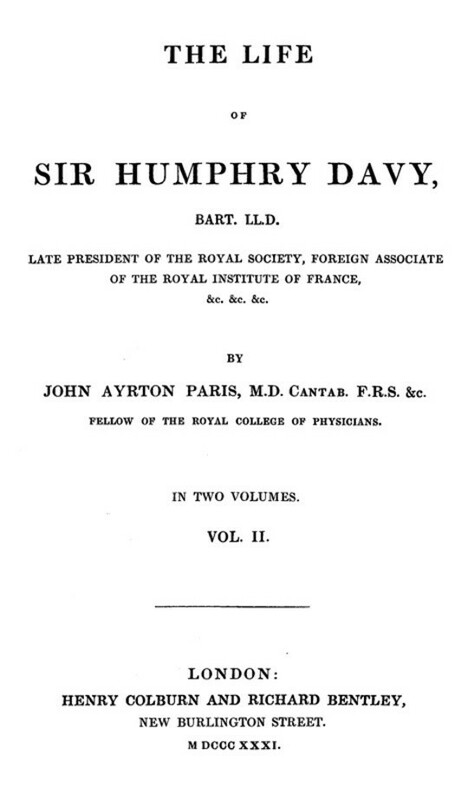 THE LIFE OF SIR HUMPHRY DAVY, BART. 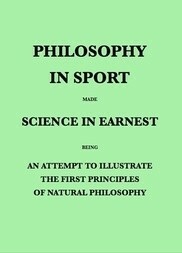 LL.D. 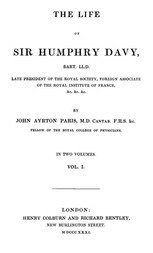 A SKETCH OF THE HISTORY OF CHEMICAL SCIENCE, WITH A VIEW TO EXHIBIT THE REVOLUTIONS PRODUCED IN ITS DOCTRINES BY THE DISCOVERIES OF SIR HUMPHRY DAVY.